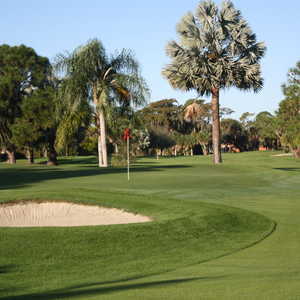 When you tire of golf, there are a ton of warm-weather options in Naples. • 9 a.m. — Eco shelling tour. • Noon — Jet ski excursion into the 10,000 Islands. • 4 p.m. — Parasailing. • 6 p.m. — Recover. It isn't as if there's nothing to do in Naples besides play golf. 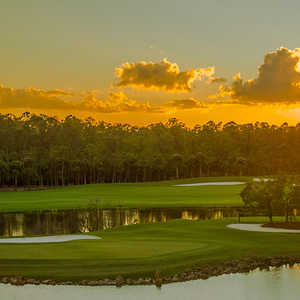 Naples is indeed one of Florida's more interesting golf destinations. It is definitely an upscale experience, like the area itself. You won't find many guys hacking it around beat-up public golf courses wearing cutoffs and tank tops. 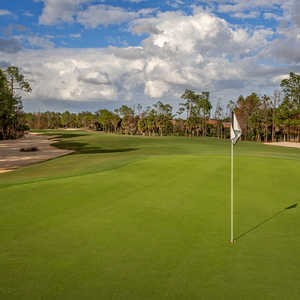 The Naples area has more than 80 courses and you will find a variety of private, upscale semi-private and ritzy resort courses. When you tire of golf, or when the wife and kids insist you try something else, you have a ton of warm-weather options. Fishing and golf go hand in hand. There are few better places to combine the two than Naples, in the near-tropical southwest corner of Florida, on the edge of the 10,000 Islands and Everglades. You have your choice here of fishing offshore in the Gulf of Mexico for the big boys or cruising the backwaters for any number of species. You can hire guides and charters to take you out in the Gulf or you can go it yourself on the area's rivers, canals or even off the beach or at Naples Pier. You can get sporty and go after fighters like tarpon, especially in May, June and July. There's Permit in June and July and snook, also in the summer months. Or you can go after good-eating fish such as black grouper, flounder and king mackerel in the winter months. Redfish are available in the early summer and fall. Other species, though by no means all, include Spanish mackerel, all sorts of snapper, shark, pompano and hard-fighting cobia. You're nearly surrounded by water here and you can get into it, on top of it or over it. Nearly every resort offers water toys of all kinds, including jet skis, parasailing, sailboats, kayaks and everything else you can think of, especially on Marco Island. Sightseeing jaunts can take you into Corkscrew Swamp Sanctuary and Delnor-Wiggins Pass State Park. Or you can just walk the wide, sandy beaches, from Naples Pier to Barefoot Beach and Clam Pass and collect an endless variety of shells. Naples isn't exactly Miami Beach, or even Tampa, but it does have a few places to go after you're good and sunburned, like Backstage Tap and Grill, H.B. 's on the Gulf, McCabe's Irish Pub and Grill, Old Naples Pub and the Club at the Ritz-Carlton. Most have live entertainment. Shopping is huge in Naples, understandable for a city so drenched in disposable income. Third Street and Fifth Avenue are the shopping hot spots and they house stores like Coplon's, an upscale women's boutique, the Cricket Shop for women's beachwear, Tommy Bahama, Pratt's Shoe Salon and Sean Johnson Atelier, to name just a few. Women can spend hours walking this district. You're expecting good, fresh seafood, and you'll get it in Naples. Try Kelly's Fish House, one of the area's oldest restaurants, on the Gordon River; they serve lobster, pompano and stone crab caught daily. Other can't-miss spots include the Riverwalk Fish and Ale House and the Yabba Island Grill. For lunch, choices include Alexander's in Park Square, First Watch Restaurant, Mangrove Café and Old Naples Pub. Also, don't miss Olde Naples Chocolate. The Naples Zoo gets good reviews, with everything from lizards and lions to lemurs. It's known for the tiger forest and the primate exhibition cruise. There is also the Naples Art Museum, including a glass dome conservatory, and 15 galleries of fine art. The kids will definitely want to go to the Teddy Bear Museum with more than 5,000 teddy bears. When you're through with all this, I definitely recommend a Thai massage at the Ritz-Carlton resort at the beach, not to be confused with the Ritz-Carlton Golf Resort.